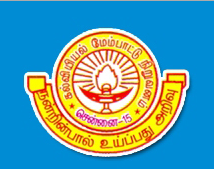 Institute of Advanced Study of Education (Autonomous), Chennai is affiliated to Tamil Nadu Teachers Education University, Chennai. Institute of Advanced Study of Education (Autonomous), Chennai is approved by National Council of Teacher Education. Institute of Advanced Study of Education (Autonomous), Chennai was established in 1856. Institute of Advanced Study of Education Autonomous, Chennai offers various graduate courses as well as Post Graduate courses. Institute of Advanced Study of Education Autonomous, Chennai is affiliated to Tamil Nadu Teachers Education University(TNTEU), Chennai. List of facilities available at Institute of Advanced Study of Education Autonomous, Chennai for students. This page was last modified on 16 July 2015 at 11:07.